Our European colleagues in FEMA have asked us to alert Irish riders to a survey which aims to build up a picture of motorcycle safety in Europe, and MAG Ireland is encouraging Irish riders to add their voice to the project. Answering all questions will normally take around 15 minutes of your time. The survey is anonymous and the privacy of all submitted data is guaranteed. Click on the graphic below to launch the survey. Click to launch the survey. 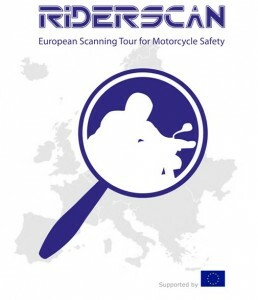 The RIDERSCAN project is coordinated by FEMA – www.fema-online.eu – the European federation of national road rider organisations of which MAG Ireland is a founder member. Co-funded by the European Commission, the project was set up to gather existing information on motorcycle safety in Europe, identify needs for action and create a cross border knowledge-based network. The results will build a database for use by road safety professionals in Europe and across the world. FEMA, (of which MAG Ireland is a founding member) – FEMA is the European federation of national road rider organisations. The European Commission as part of the 7th Framework Programme for Research. The French Motorcyclists’ Mutual Insurance company Mutuelle des Motards which is owned by it’s policy holders. ACEM (Association des Constructeurs européens de Motocycles), the Motorcycle Industry representative body in Europe.